Welcome another month of CCDT Blog Hop. If you come from Sandra Mott's site, you have come to the right place. If not, all is well as eventually you will hop through everyone's blog. This month we celebrate our 2nd year anniversary of the CCDT team. It has been an unbelievable journey, and I am proud of what I have accomplished. Three new recruits, total of six Inkredible Crafters in my team, and couple of orphans that have become great friends, and I have picked up, and my 3D papercraft niche. You are probably wondering why we are not blogging on the 5th of each month. 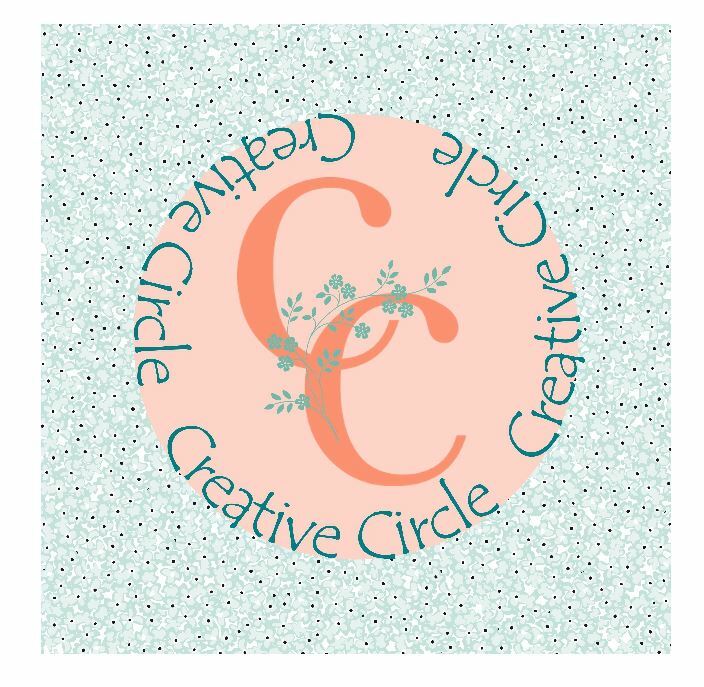 The team decided to change the date so that the CCDT Blog Hop falls on the first Thursday of each month. This is easier to remember to check back, not just for me, but everyone who follows my blog. Without further adieu, I present the Sara D. Signature Purse! This bag is very sleek and stylish and it can hold lots of cards, and even the Swirly Bird Bundle set. Can hold up to 4 clear mount stamp set or 2 punches. Purse size 8-1/2" (w) x 11" (h) x 3-1/4" (d), and the pattern comes in these formats SVG, Silhouette, PDF. I eliminated the straps that goes around the purse as an alternative. You can choose not to use these pieces. I also added a gift card on the back using the gift card & trims die. Did you noticed the flower? This is the same flower I used for the gigantic wall flower I had during the hi-Tea. I shrunk it down to fit the bag. This kit was introduced at my Lower Mainland Inkers Event on June 26. We had a blast. If you want to purchase this KTG, please email me. It includes flourish stamp set bundles, wink-a-stella, 8 cards, and enamel jewels, pre-cut materials. Available in Canada only. For the Sara D. pattern, it will be available in my online store on Monday. 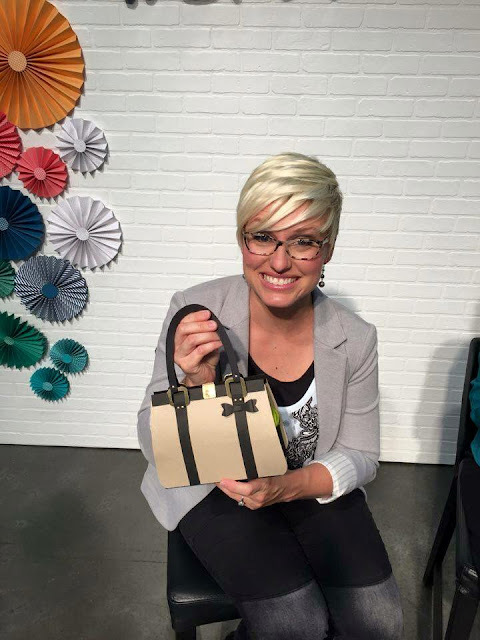 This bag was named and created for Sara Douglass for her success as a leadership role of becoming the new CEO of Stampin' Up! Inside held a scarf for her. I won't go into too much details, but before you hop to Lynn's site, I love to hear from you as you will have a chance to win a FREE pre-cut materials mailed to your door. The winner will be announced on July 14. So tell me what is favourite color? Click on the icon below and hop to Lynn's site. 2. Liz <-- you are here! What an incredible bag!!! Love the size and all that it can hold. What a nice picture of Sara. My favorite color is purple-any shade. I'm feeling lucky, July 14th is my birthday!! Purple is my favorite colour! Super cute purse!!! TFS Liz! This purse is my favorite and that flower is to die for! Mine too, next to the back pack. So much more you can do with the e-cutter! Thanks Susan! Don't forget to put in your favourite color. These are gorgeous--divine color combos. The blue is my favorite color. My absolute favourite is deep bright blues and also turquiose. The bag is gorgeous and will make a magnificent gift for a huge range of occasions. What a cute idea! I love neutrals and greens. Sarah looked thrilled with her signature purse. Liz- I don't know where to begin, your purse creation is absolutely stunning! And I can't thank you enough for inviting me onto this team, I really stepped into unknown territory Buying my first silhouette cameo and this was my very first project. Your directions were flawless, I cannot thank you enough ! Heavenly Stamping: there are some free 3D projects in my online store. Download and give it a try. Once you opened a can of worm, it will never stop! Thank you Jennifer. Good luck! Emerald Envy because it's also my birthstone and just gorgeous! ADORE Blue and White anything. LOVE the SD Purse. Looking for the instructions and measurements. Oh my goodness, this purse is super cute! I would be thrilled to have any color. This bag is adorable. You are so talented. My favorite color today is Flirty Flamingo. I am sure tomorrow it could be something else. Absolutely love it! The flower is impressive! My fav colour is red with black. My favorite color is most anything neutral with a bit of pink snuck in. I wish I'd been able to take your class on June 26th and make one of those purses. Wow they are absolutely amazing, especially with that huge flower. Liz you rock these 3-D creations. My favourite colour is Night of Navy.......love it! Thanks Penny! You rock too! I just opened the Lower Mainland Inkers Fall Event. Hope you can make it (October 23) at my Cloverdale house. These purses are beautiful, your attention to detail is amazing. Beautiful purse. You do amazing work. My favorite color is Night of Navy!!! Thank you Karin. Good luck! Liz, this project is stoning I love it, everything you do is great. This is a beautiful purse! Lots of colors to choose from but being of Irish descent I love Emerald envy!!!! I just love this purse, so cute! I bet Sara loved it, too! My favorite color is pink, any and all, from pink pirouette, to Melon Mambo! With blacks, grays, browns, or Crumb Cake, the possibilities are endless and beautiful. Thanks for sharing.